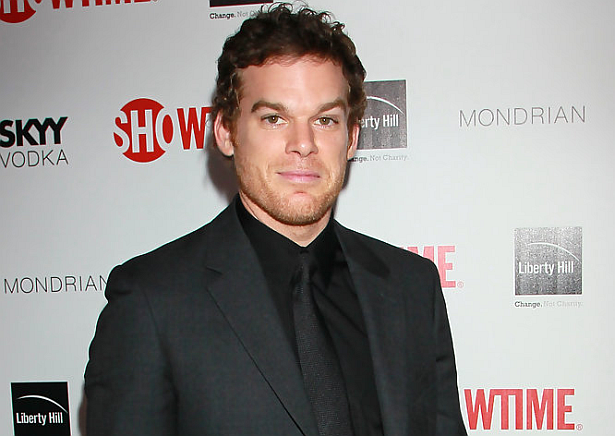 Michael C. Hall will return to the stage this fall as Thomas Newton in New York Theatre Workshop’s production of Lazarus. Based on Walter Tevis’ novel The Man Who Fell to Earth, Lazarus features music from David Bowie, who played Thomas Newton in a 1976 screen adaptation of the book. Hall’s stage credits include Hedwig and the Angry Inch, Chicago, Cabaret and The Realistic Joneses, along with a NYTW run of Stephen Sondheim’s Wise Guys. The actor has also held a handful of off-Broadway roles, such as parts in Mr. Marmalade, Macbeth and Henry V.
Ivo van Hove (Hedda Gabler, More Stately Mansions) will direct the Bowie and Enda Walsh play. Preview performances of Lazarus begin Nov. 18, with opening night set for Dec. 7.